This is a fund raising project by I Nuovi & Plusizekitten.Com! In an effort to raise funds for the Children of The Good Samaritan Home (Orphanage in Klang), I Nuovi has donated Five (5) I Nuovi UltraGloss (Liquid Lip Color) to Plusizekitten.com to sell and 100% of the proceeds will go to the Children this coming Saturday where a group of us will be going to visit the Children and throwing them a KFC Party! (many thanks to those who have supported and donated for this!). 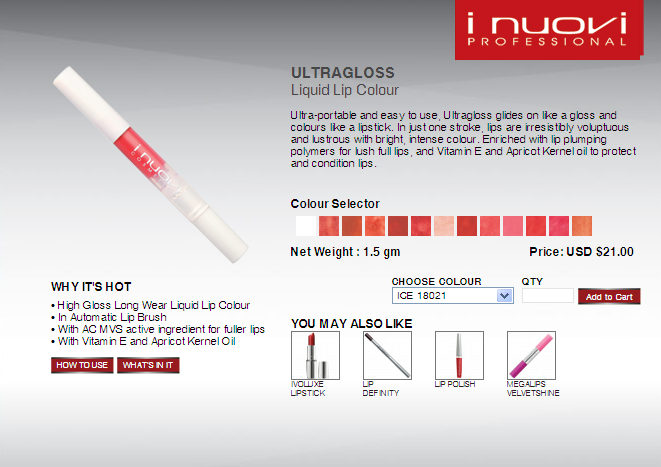 Anyone interested please email tammylci@gmail.com to purchase the UltraGloss. I will need your name, address, contact so that I Nuovi can send the parcel out to you. There's only 5 UltraGloss for sale and the proceeds will go to our Good Samaritan Home project fund (KFC Party/CNY Clothes).